Our Brand Sparring Partners gave impulses from their practical experience in the master lecture “Service Management”. They illustrated the role of brand strategy as a basis and guideline for successful customer experience management. Thanks to Prof. Dr. Hogreve and Mr. Fleischer for the invitation and to all students for the great discussion! The LMU alumni Tamara Ertl and Andreas L.M. 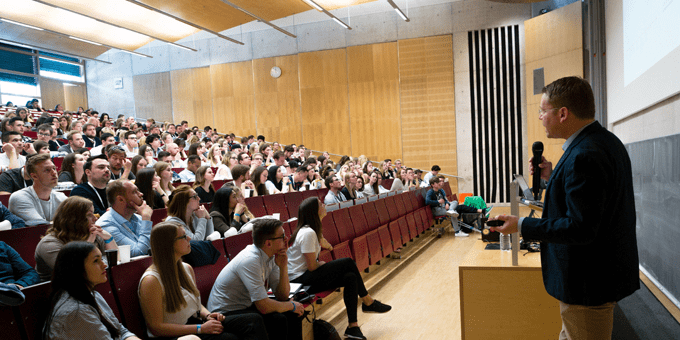 Thoma gave a guest lecture last week at the »Institute for Market-based Management« of the Ludwig-Maximilians-Universität München. 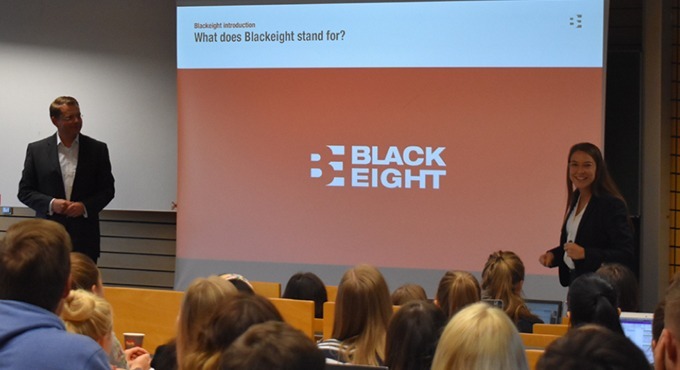 In the lecture, students, who are currently studying business economics at the institute, were given an overview of Blackeight´s brand model, the brand development process, as well as the company´s understanding of brand-oriented corporate management. We would like to thank the chair and director of the institute, Dr. Schwaiger, as well as his team for the invitation and we look forward to more projects together in the future. Students from the AMD Akademie Mode & Design in Munich payed a visit to Blackeight last week. During their visit, they, under the motto „The Conception and Visualization of Brand Experiences“, discussed current trends in the areas of brand conception, brand implementation, as well as creating comprehensive brand experiences with Bettina Otto, creative director at BlauePferde GmbH, and Andreas L. M. Thoma, one of our Brand Sparring Partners. The students are currently studying brand and communication design at the AMD Akademie Mode & Design, which is directed by Dr. Katharina Klug. What does responsibility mean for Blackeight? Also this year the team from Blackeight is committed to helping children in need. Together with »Connect minds4change«, we will help thirty children from Manila return to school next year. 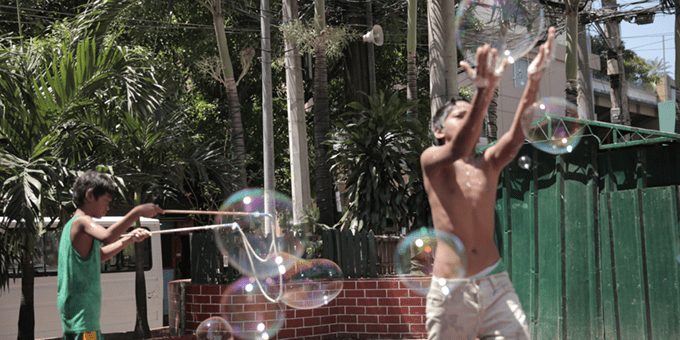 Connect minds4change´s goal is to give disadvantaged children access to better education and with that a new life perspective. Next to building small libraries in remote villages and furnishing self-mounted solar cookers, the work focuses primarily on returning street kids into the school system long term. 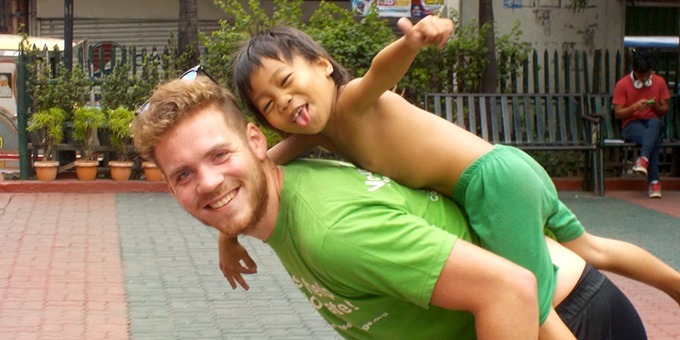 What does Connect minds4change´s work in Manila look like exactly? 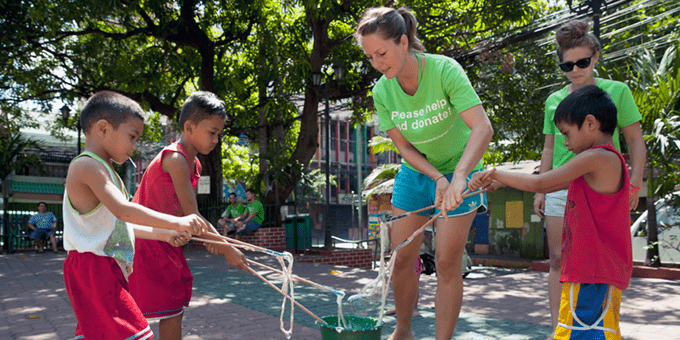 Volunteer teachers in Manila give children daily lessons right on the street, at the same time and at the same place. Straightforward and without complications. For some children, this access to education is their first in years. In the beginning each lesson usually lasts less than two hours per day, later even longer. Yet every hour is important for the way back into the school system. In the following years, on-site education will be crucial for their continuing journey through life. The volunteers from Connect minds4change have not only built a trustworthy and secure contact-point, but have also established the conditions for long-term school attendance. Who is behind Connect minds4change? 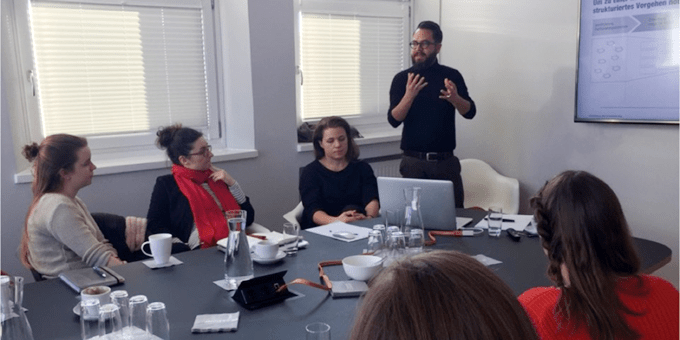 Franziska Bammert initially founded Connect minds4change with friends in Munich. Supporters came swiftly from all over the world — from US book donations and pan-European volunteers from all over Europe, to native Filipinos and Filipinas who play an important role on-site. The focus is to understand what is really needed in order to create useful and sustainable projects. Direct on-site aid and personal exchange is in many aspects possible and for Franziska Bammert desirable. We have talked to our new intern Lorena Haigis about her daily work at Blackeight. Enjoy the short interview with her. 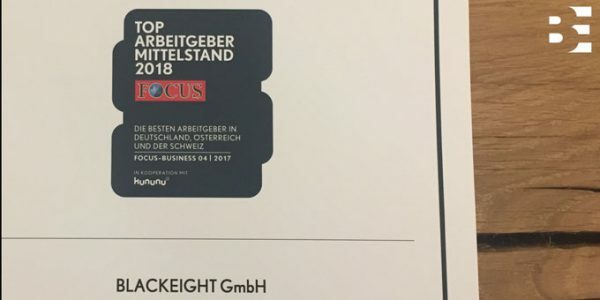 Blackeight: Dear Lorena, in your internship with us almost everything will revolve around the topic “brand”. What fascinates you most about it? Lorena: Strong brands like Adidas, Porsche or Milka have huge loyal fan communities that trust them almost blindly. I am particularly fascinated by their impact and charisma on the people. What makes a good, convincing brand and how does it develop over the years without losing its own identity? Blackeight: Why did you choose Blackeight? 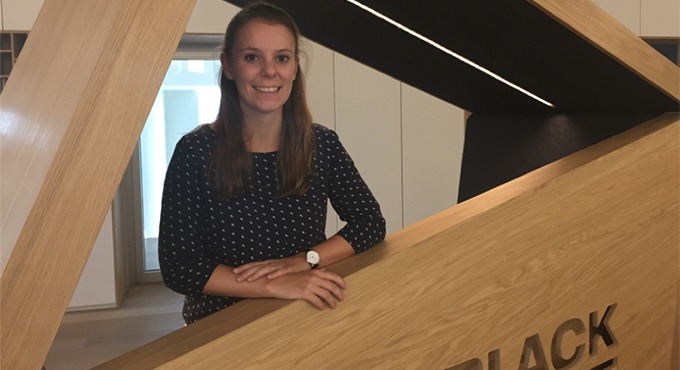 Lorena: I have always been interested in management consulting and brand management and a good friend made me aware of Blackeight. 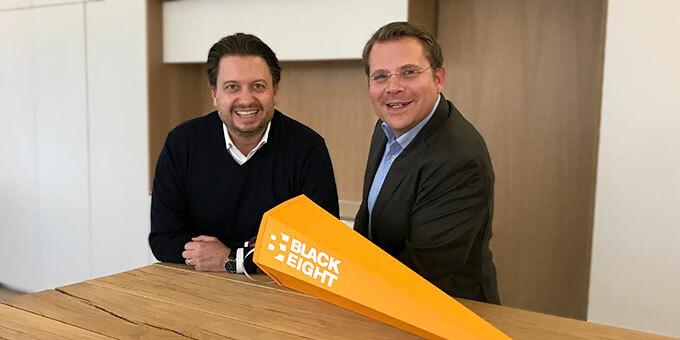 During my research, I particularly liked the concept of the Brand Sparring Partner, with which Blackeight pursues a very personal relationship with the customer at eye level. Blackeight also works on a wide variety of brand management issues, which naturally makes the project work extremely exciting. At the same time, I am convinced that I can learn a lot during my internship at Blackeight and gain practical experience. Blackeight: You moved to Munich for your internship – what are you looking forward to, especially away from the office? Lorena: Munich is a big, lively and multicultural city, so I’m especially looking forward to the many different leisure activities. And the mountains are not far away, where I will certainly spend a weekend or two hiking or skiing in winter. Blackeight: Thank you very much and once again a warm welcome!